PIP. Reform of personal injury protection insurance passed its first vote in a Senate committee. For reform advocates, the Senate product is weaker than its House companion. 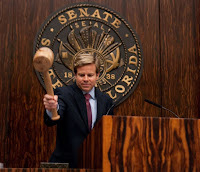 For more, read PIP bill clears first Florida Senate hurdle in 2012. Citizens depopulation. The full House approved HB 245, a somewhat controversial (but minor) measure that would enable surplus lines (non-regulated) insurers to remove policies from Citizens Property Insurance Corp. in bulk (a "takeout"). The Senate version (SB 578) is waiting for a vote by the Budget Committee. For more, see House passes surplus lines bill to shrink Citizens (The Current, Feb. 3, 2012) and Week 1 - 2012 Florida Legislature (under "Citizens Property Insurance Corporation – surplus lines depopulation"). Citizens assessments. A bill that would reduce Citizens regular assessments, HB 1127, was approved by a second House committee. The House Bill and its Senate companion (SB 1346) are each scheduled for one more committee meeting. So far, the bill is non-controversial and has broad support from stakeholders. For more, see Property insurance reform has productive Week 2 (under "Reduction of Citizens Regular Assessments"). Alien insurers. A measure that would expand the circumstances under which alien insurers are exempt from a certificate of authority received first approvals in House and Senate committees. For more, read Alien insurers measure advances; life & annuities added. Annuities. 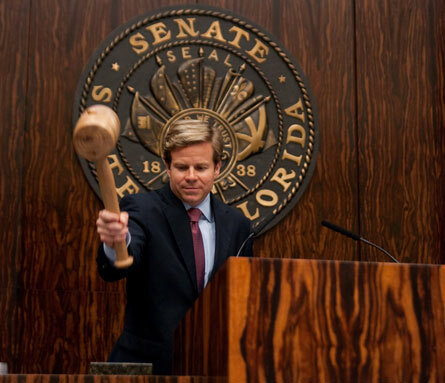 Florida law governing the sale of annuities would be brought more in line with model regulations, in this measured approved in its first committee vote this week. In week 4 action, the House Insurance and Banking Subcommittee approved HB 1065, which incorporates more parts of the model regulation of the NAIC (National Association of Insurance Commissioners). The Senate companion (SB 1476) is scheduled for its first committee hearing this coming week. The "hodgepodge." SB 1620 – containing minor changes to property, motor vehicle, and other lines of insurance – was amended and then approved by the Senate Banking and Insurance Committee in week 4. For information on week 3's version, see Insurance "hodgepodge" bill approved by House subcommittee, week 3 of 2012 session. Commercial Lines Policy Transfer to Affiliate. The Senate Banking & Insurance Committee approved SB 1428, which would ease the movement of commercial lines insurance policies to affiliated Florida licensed insurers. The House companion (HB 941) is ready for action by the full House. For more, see Week 3 insurance recap (under Commercial lines policy transfers to affiliate).